BlackBerry KEYone Price, Review, Deals, Cost, & Sales! Home / Compare Cell Phones / BlackBerry KEYone Price, Review, Deals, Cost, & Sales! Just when you thought a physical phone keyboard was a thing of the past, here comes the BlackBerry Keyone! This Android phone is equipped with a 4.5” screen, 12 MP camera, 4 GB RAM, and a 3500 mAh battery. As previously mentioned, it comes with a 4.5” IPS LCD screen 16M colors with 1080 x 1620 pixels. It is protected by a Corning Gorilla Glass 4 and gladly retains that BlackBerry distinct look. The smallish screen is set there to accommodate the physical keyboard of the phone. In comparison, the S8 has a mammoth 5.8” screen. It has a 12 MP rear camera with f/2.0 aperture and can capture videos of up to [email protected] Its secondary camera, on the other hand, has an 8 MP and f/2.2 aperture. It is capable of recording videos of up to [email protected] The Keyone has the same sensor as the Google Pixel but the former has a way better image quality. For storage capacity, it comes in at 32/64 GB internal space variants and supports expandable memory for up to 256 GB via microSD. While the Samsung S8 has the 64 GB internal space and supports up to 512 GB via Micro SD card. It has a single front firing speaker located at the bottom. Although you might notice that there are two of them there but only the right side is the speaker. It is also worth noting that the quality of the sound coming out of it is mediocre. The Samsung Galaxy S8 also has a downward firing speaker but has way better quality than the Keyone. To unlock the BlackBerry Keyone, the developers found an ingenious way of embedding its fingerprint sensor in the spacebar. It is also fast and is accurate most of the time. It is the only phone to have done it and well so far. The S8, on the other hand, has all three (fingerprint reader, iris scanner, and face scanner). This device runs on Qualcomm MSM8953 Snapdragon 625 with eight cores. Although this kind of specs performs better on other phones like the Moto Z Play, the Keyone was not able to utilize its power as it is slow to respond to multitasking and lag times are apparent when opening apps. To power the BlackBerry Keyone, it has a rather large 3500 mAh battery. It also supports fast charging where it fills half the power in 36 mins. With a huge battery like that and with just a 4.5” screen, you will have enough power to last you more than a day. It has a much bigger battery than the more powerful Galaxy S8 which only has 3000 mAh. While everyone else is maximizing screen use, the BlackBerry Keyone is cutting it back and placed a physical keyboard. It comes in Black/Silver, Black or Bronze in color. It has an FM Radio. 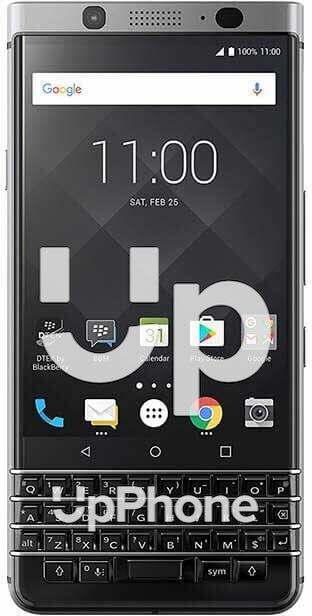 The BlackBerry Keyone is also known as the BlackBerry Mercury. It has a very good battery life given that it is not relying everything on the screen. BlackBerry phones are known in the past as a “secure” phone and it has retained some of its heritage for the Keyone.